See below for the range of treatments that are available here at the clinic. If you want to know more, please call us on 0208 304 2474. For those with general foot problems, we have a wide range of treatments available. An assessment of your feet & lower limbs, checking for abnormalities and possible causes of pain. Can include gait analysis and use treadmill where appropriate. We perform nail surgery here at the clinic using fully qualified, professional Podiatrists. This is undertaken using local anaesthetic and can include removal of part or all of the toe nail. Diabetic assessments are undertaken by all of our Podiatrists here at Bexley Podiatry Clinic. A group of massage techniques specifically designed to aid in athletic performance & can aid in recovery from sporting injuries or injuries of a similar nature. Custom-made orthotics (insoles) are available from us here at the clinic. The process includes Biomechanics Assessment, foot-casting and bespoke manufacture of custom-made orthotics together with fitting & follow up appointment. Call 0208 304 2474 now to book an appointment. We are pleased to announce that the Bexley Podiatry Clinic is open for business! With four fully qualified Podiatrists and Foot Health Practitioners, Bexley Podiatry Clinic is more than capable of caring for your feet. Whether you simply need your toe-nails cut or wish to undertake a Biomechanics Assessment, we have you covered when it comes to feet. With the range & quality of health-care services offered by the Bexley Podiatry Clinic team, your feet will always be in good hands. If it's not just a problem with your feet, we have more than just podiatrists available at the clinic. Hover mouse-pointer over a team member to find out more about them. Elaine qualified as a surgical chiropodist in 1994 at the SMAE Institute (MSSch, MBChA.) 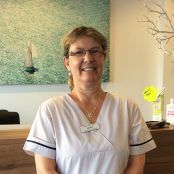 Since becoming qualified, Elaine has mainly focused on providing mobile podiatry services across Bexley before launching the Clinic in September 2016. She is registered with the HCPC, so you can be assured that all work will be carried out with care, safely and to professional quality standards. The Clinic is registered with Simply Health for all aspects of routine footcare. 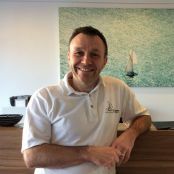 Alan qualified as a Podiatrist over 20 years ago and apart from routine podiatry specialises in the following areas: Nail surgery; Paediatrics and MSK Biomechanics. He has both written papers and given talks on Paediatrics and Biomechanics. Acting as a mentor, he has over the years facilitated training and professional development in the medical workplace. 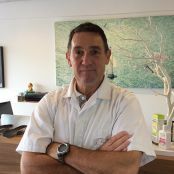 In terms of Biomechanics, Alan has a particular interest and expertise in sports, rehabilitation, paediatrics. Sandra qualified as a Foot Health Practitioner in January 2015 through Stonebridge Associated Colleges. 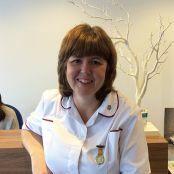 Sandra undertakes domiciliary (home visits) appointments for Bexley Podiatry Clinic. This can include Dry Needling where appropriate. Ash graduated in Podiatric medicine BSc (Hons) from the University of East London in September 2017. 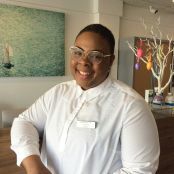 Since qualifying Ash works in the NHS and also part time in our private clinic. 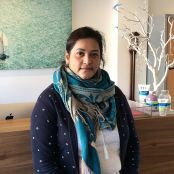 Ash has a keen interest in Chronic and acute wound care, although enjoys all aspects of podiatry practice. Don't just take our word for it, hear what our customers have to say. Read the rest of our Google reviews here! Modern clinic. Very good service. Highly recommend. After calling for urgent treatment. I left a message for a return call which I received within 30 minutes. I got an appointment within the hour. The staff are an asset to the clinic. Very friendly and full of great advice. I was thankful for the quick response and very reasonable prices. I highly recommend this clinic. I am now pain free!!! Thank you Elaine for fixing my toe! I can highly recommend this practice – they are very professional, friendly, sympathetic and accommodating.